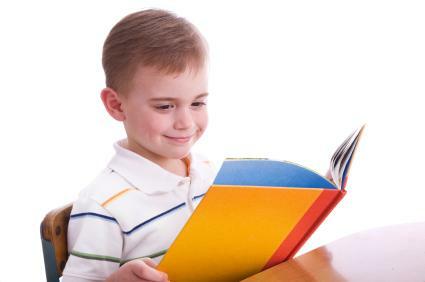 After having completed the last sentence to a great story, many writers turn to self publishing companies for children's books. At times, it is due to exhausting all the editors of traditional companies and not getting a book accepted. Other times, authors choose to bypass the traditional companies because they want more control over their publishing options. Self publishing, or independent publishing, is when an author funds the printing and publishing of his own book. This can be done in two ways. An author farms out his manuscript to be either typed and/or edited by a proofreader, designs his own cover and then finds a printing company to print and bind the work into book form. An author relies on a self publishing company to typeset, edit, design the cover, and print the manuscript into book form. Either way, the author pays all the monies it takes to get the book from manuscript to final product. Check spelling and word meanings before submitting your work to a publisher. The following are some of the companies that work with authors to publish their works. Most are POD publishers, which means they print on demand. Print on demand is when your book is only printed once someone orders it online. Each publisher offers a variety of packages and you can choose the one best suited for your needs. Connected with Barnes and Noble, iUniverse provides editing and marketing services as well as global distribution. Selfpublishing.com provides easy steps to guide you through the publishing trails. BookSurge is connected with Amazon.com. BookLocker is owned by the editor of the e-zine, Writers Weekly. Before signing with any company, make sure you are aware that not every company publishing children's books is reputable. Some self publishing companies are scams. Vanity publishers often overcharge for their services. Talk to other authors who have had a book printed by a company and get feedback from them. Publishing your own book takes time. There are things to consider such as a marketing plan and the logistics of getting your book into the hands of consumers. What are the ages of the children who will read your book? How many copies will you need to print? Scope out various publishing companies and see what they have to offer. Compare prices. Take time to request sample materials. As a writer, it's important to make a well-thought decision regarding the publication of your book. The last thing you want is a garage filled with boxes of your books that no one wants to buy. If you have decided to self publish your children's book, make sure to create a Web presence. This means develop your own Web site, as well as become active on social networking spots like MySpace and Shelfari. You can even post your own blog so that others can read about you and your thoughts on the subject of your book. Plan to write some articles on subjects on which you have expertise. Use the Web to your advantage to help with the sale of your children's book. Many self publishing companies for children's books will provide the author with space on their publisher's Web site to promote their book. Dan Poynter's Self-Publishing Manual is a must-have for anyone wanting to pursue self publishing. His web site also offers a wealth of information for the novice publisher. Jump Start Your Book Sales: A Money-Making Guide for Authors, Independent Publishers and Small Presses by Marilyn and Tom Ross will give you creative ways to market your book. Visit LoveToKnow Children's Books to learn more about the children's book market.